Taking in a delightful seven-mile journey from the village of Ravenglass, this locomotive takes you into the heart of the Lake District and its valleys alongside the highest mountains in England. Awe-inspiring scenery surrounds you on your trip along one of the longest heritage railway routes in the country. Finely preserved vintage engines trundle along as you roll past the relaxing sight of the Mendip Hills. The five-mile journey is charming enough in itself, but enthusiasts will love Cranmore Museum and the restored station too which give a fascinating insight into a bygone era of rail travel while the Miniature Railway which you can explore on your trip is another highlight. A great train ride for wildlife spotting as your roll over and under bridges through a wildlife preservation area and country park and through the picturesque, rolling fields of Derbyshire. A long-established railway museum is also based at the heart of the route and adds to an engaging steam rail experience. A fabulous family day out, Bressingham boasts four railways for steam locomotives, as well as a steam-powered carousel, all set within 20 acres of stunning gardens and finely manicured horticultural displays. 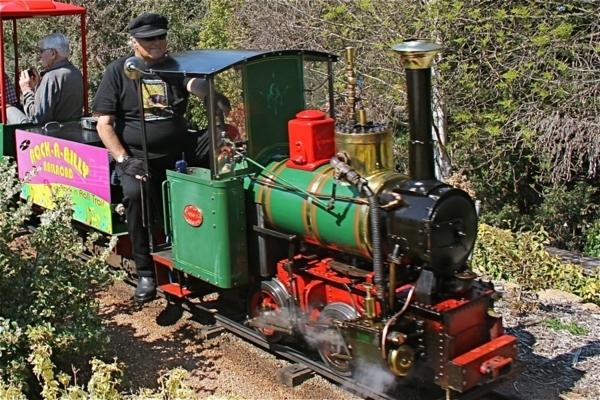 The narrow-gauge railway lines help you explore the gardens and 8,000 varieties of plants and flowers in relaxed style. Dad’s Army fans will find an extra treat too, with the gardens also home to vehicles, props and memorabilia from the famous show. This seven-and-a-half mile preserved railway line transports you to days gone by, taking in five charming stations along the route. Nestled in the quintessential English countryside of Cambridgeshire, it even has some star credentials having been used for location filming for two James Bond movies and other Hollywood hits, as well as television dramas and soaps, including Eastenders, Casualty and Poirot.